Sherwood's Notebook: Freedom Faulted Again? The U.S. Secret Service is embarrassed. And who will pay the price for that? It looks like there will be another hit to the dwindling freedom of the American public to gather in our nation’s capital. 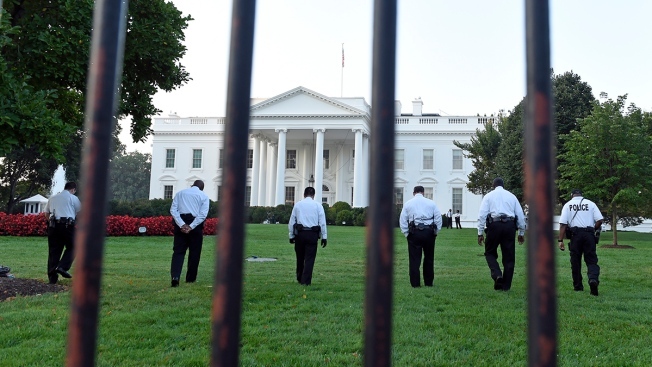 Despite all the flourishes of heavy security in place around the White House, last Friday a lone man scaled the fence and made it nearly 100 yards to the north portico entry. No dogs were loosed to bring him down. No weapons fired. No all-hands-on-deck deployed. It was an open field run by an intruder that was seen by tourists but not, apparently, by security guards. That’s simply “securicrats” at work. “The New York Times first reported Sunday that the Secret Service was considering screening visitors’ bags and identification farther away from the White House. “The Secret Service and every presidential administration has struggled to strike an admittedly awkward balance of keeping the White House both open and secure. Officials have worked to keep the White House compound a ‘hard target’ but also to give the American people the feeling that it is ‘the people’s house’ and not an impenetrable fortress,” she wrote. There’s no doubt the Secret Service officials have “talked” a lot about balancing openness and security, but the record seems to show security fear winning out. The White House public tours? When were you last on one? The public is barely welcome. Americans have to apply through their local congressional office. At minimum you must apply at least 21 days ahead, and it can take as long as six months. The 1600 Pennsylvania Ave. address ceased to exist back in 1996. That’s when President Bill Clinton approved the Secret Service decision to permanently close the avenue between 15th and 17th streets. Side streets along Lafayette Park — once teeming with American commerce — have long since been closed. And E Street on the south side of the White House remains blocked, cutting off ribbons of commerce on that side, too. There’s no doubt that providing 24/7 security is a tough and demanding job. The potential for boredom or fatigue can sap even the most earnest guard. That’s why they change shifts, walk, ride and patrol. Staying alert is the crux of the job. Simply enlarging the secure area is an easy way to lessen the task. Well, it is until some deranged person, criminal or terrorist decides to take out the new screening posts. Then will we need more expansion? We have to stop allowing tourists, veterans, families and foreign visitors to stand near the high White House fencing for souvenir pictures because the security team on the other side was caught napping? ■ Mayoral politics. We wanted to write about the mayor’s race, the lively first forum among the leading candidates at American University last Thursday and the NBC4/Washington Post/Marist poll that shows Muriel Bowser with a comfortable lead but still at risk of losing it to challengers David Catania and Carol Schwartz. We wanted to write about all that. But the unending issue of freedom and security trumped our concerns.